Last month, Nintendo released the Super NES Classic Edition for a retail price of $99.99 CAD with 21 pre-installed games, although hackers have already managed to hijack its firmware and add their own game titles. 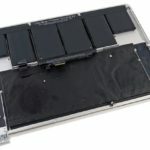 Now, the tear down experts over at iFixit have taken apart the highly-coveted mini-console, which made them just as nostalgic as playing the games on it. “We’re not gonna lie. We played with our SNES Classic for a while. Then we remembered how bad we are at Super Mario World and moved on to a game that we’re actually good at—the teardown game. The construction of the SNES continues with the classic theme. You can easily remove the heat sink/EMI shield and free a few connectors for the controllers, whereas pulling loose a ribbon cable for the power buttons exposes the mini-board of the Super NES Classic Edition. Since the games are pre-loaded instead of on cartridges, the board also features some new silicon. 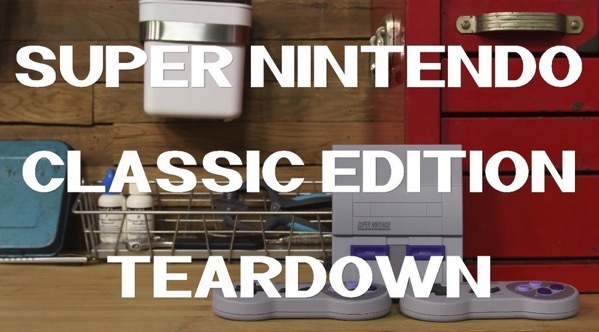 The new SNES Classic Edition earned an 8/10 on iFixit’s repairability scale. They knocked points off for the lack of a repair manual, and because the HDMI and USB ports are soldered to the mainboard.